The LSM303DLH is a triple axis accelerometer combined with a triple axis magnetic sensor. This breakout board uses the LSM303DLH to give you the data you need to feed into a arduino microcontroller and calculate tilt-compensated output. Download and install the LSM303 Library. About how to install the library? *        communicating the readings over the serial interface. You can display the readings with the Arduino Serial Monitor. * @n This example get the four lightest positions of the IR sources. 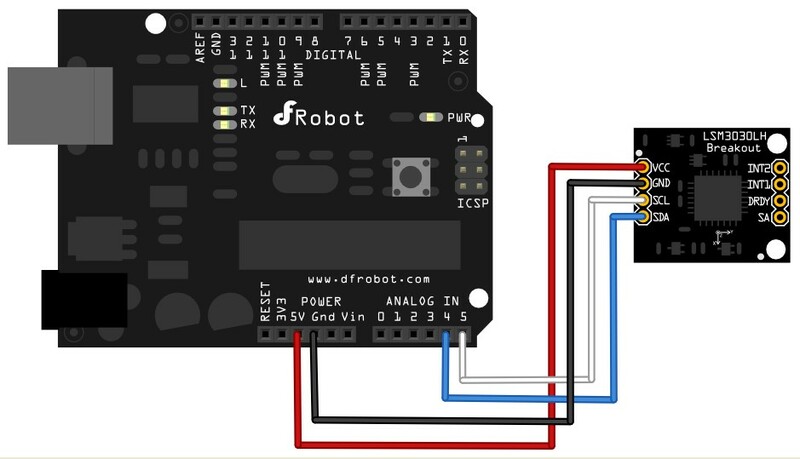 Get LSM303 Breakout Board - Tilt Compensated Compass from DFRobot Store or DFRobot Distributor.